Premier Prints Dandie, Chocolate/Natural, Cotton, Pattern: 5 3/8 in. Horizontal by 5 5/8 in. 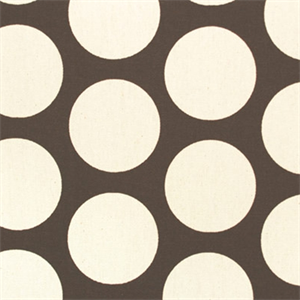 Vertical Circles 2 1/2 in. THIS ITEM USUALLY SHIPS WITHIN FIVE WORKING DAYS FROM THE ORDER DATE.